I just love getting mail, real mail. In today’s sea of bills and catalogs, a card is a rare treasure. 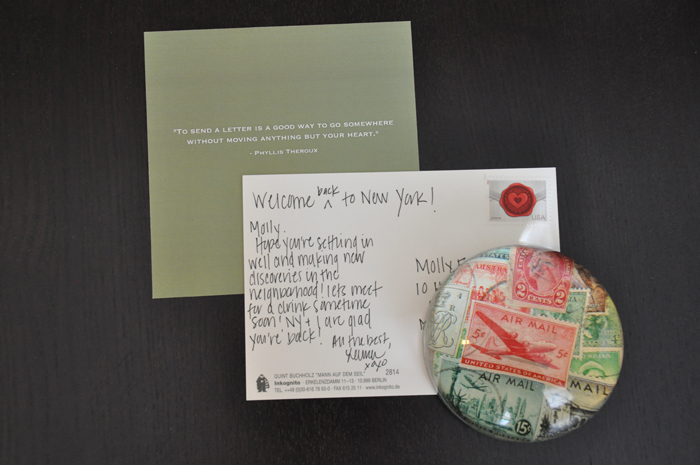 I’m especially fond of the ‘change of address’ card (what can I say, I’m a sucker for tradition). It’s rare in a city like New York where people change addresses with the seasons. So when one came across my post, I felt compelled to send a reply (I was wooed by Phyllis Theroux’s words, what can I say?). How do you let friends and family know of your new address?